Last Saturday, I decided to make a trip to theatre with a group of friends to see Lady of the Camellias – a three act ballet by John Neumeier, based on Alexandre Dumas’ 1848 novel, that I was lucky enough to see the premier of in March last year – see my review here. 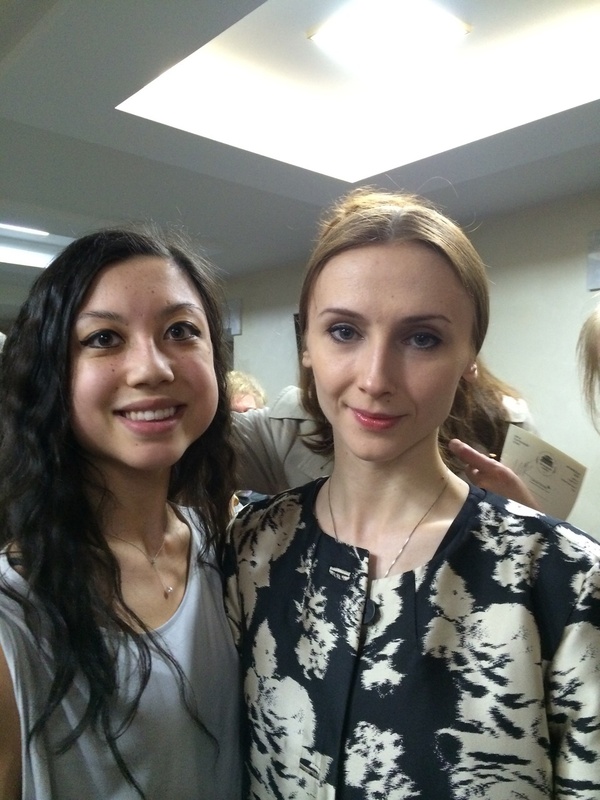 I thoroughly enjoyed the ballet then, due, no less, to the part of Marguerite being played by the exquisite Svetlana Zakharova; so, upon hearing that she would be performing the part again that Saturday, I jumped at the chance to go. 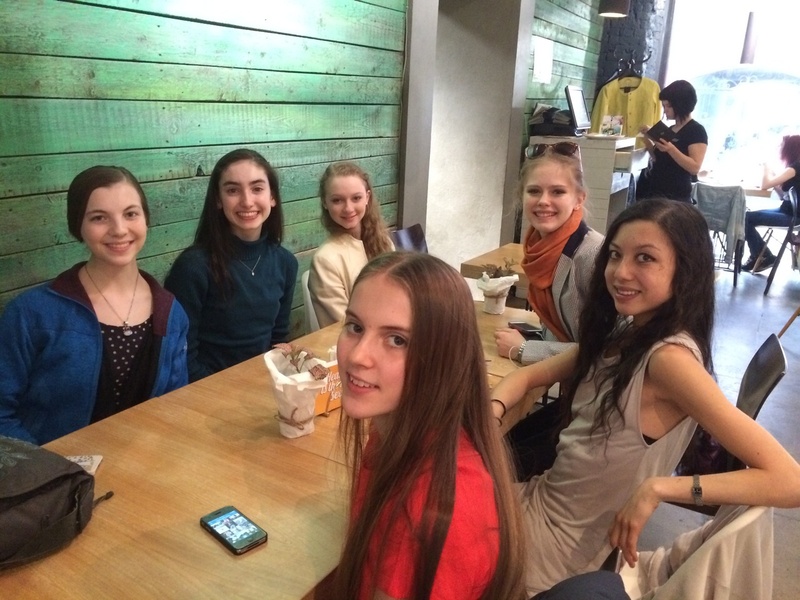 With my friends prior to the Theatre – at Fresh! I was slightly concerned that we wouldn’t actually obtain student tickets, as the demand to see Zakharova is always so high and yet miraculously we succeeded in acquiring tickets for all of us. We treated ourselves to a pre-theatre get together at Fresh, which is just up the road from the theatre and then headed off to see the performance. It was wonderful to see the production again; it’s such a rich and textured ballet that there are new details to be acknowledged every time. I already spoke about Zakharova’s masterful portrayal in my previous post, however, after studying the first pas de deux of the ballet in our acting class, I was now able to identify just how brilliantly she captures the role of Marguerite; refreshed with the energy of true love in her meetings with Armand, the frailty she portrays due to her illness, all combined with the worldly-wise quality of a courtesan. Armand was played by Vladislav Lantratov and this was my first time seeing him dance; I was amazed at how freely he could turn, creating such beautiful lines. Manon was beautifully portrayed by Anna Tikhomirova who gave the part such dramatic strength, not an easy accomplishment, bearing in mind the symbolic weight of the role. She continuously haunts Marguerite throughout the ballet, reminding her of what she is and of her fate. In addition, one of my favourite dancers of all time was also performing that night; Semyon Chudin performed as Des Grieux, Manon’s lover. I’ve seen Chudin dancing many roles and he did not disappoint on Saturday either. I also fell in love once again with the beautiful, exquisite and refined costumes and find Neumeier’s use of the stage just pure genius. Neumeier uses the lowest boxes on either side of the stage as an extension of the stage itself, as if the scenes are spilling out into the audience. It all supported the dream-like sense of the production which mesmerises you through the full three acts. The best part of the night was waiting for the stars to leave the theatre, following the performance, in order for them to sign their autographs. We weren’t the only ones waiting of course – Svetlana always draws a real crowd. We waited a good hour or so until the first artists started leaving; I was lucky enough to get photos with Svetlana, Anna and Chudin and they all signed my theatre ticket! 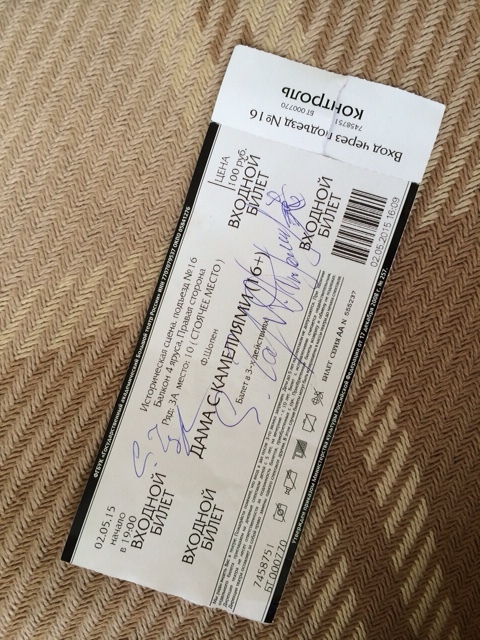 My signed theatre ticket – Svetlana, Semyon and Anna all signed it! It was a fantastic evening and provided me with much inspiration. I am so fortunate to be able to see performances of such quality with dancers as world-class as those performing that evening. It really is a treat and builds my understanding of the profession I’m training so hard to enter, once I’ve finished my four year training programme here at the Bolshoi Ballet Academy. WOW! 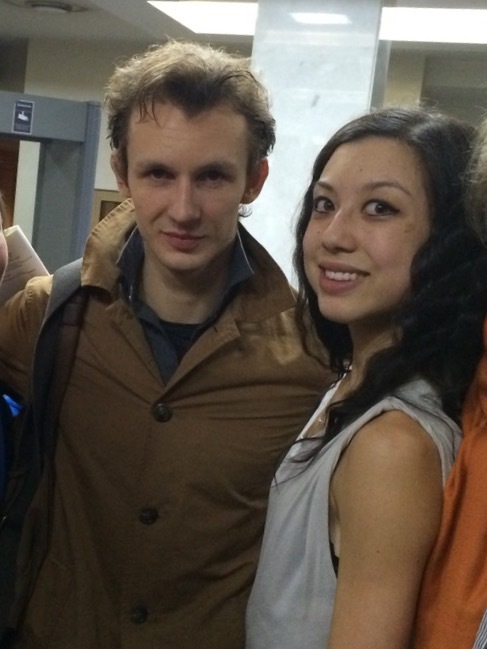 I can’t believe you saw svetlana in real life and got a photo with her!!!! LUCKY GOOSE! How is she in person?? ?